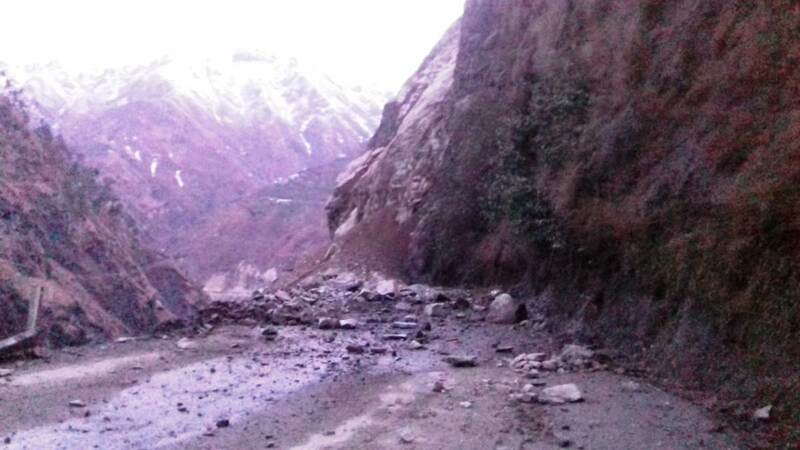 The Jammu-Srinagar highway remained closed on the seventh consecutive day on Tuesday as fresh landslides at different places hit the restoration work, officials said. An official said that men and machinery are on the job and the clearance operation is going at T2, Maroog, and Panthyal in Ramban- Banihal axis. “The decision regarding allowing the movement of traffic on the highway will be taken only after the road is cleared,” the official said. Pertinently, the Passengers stranded on the highway have been stuck on the road from the last six days without any accommodation or help from the government and the families including women and children have been suffering badly. Earlier, the students of Science College in Jammu attacked the valley bounded passengers in Jammu, which led to the clashes between the passengers and students. Many passengers have reportedly sustained injuries during the incident. However, police in this regard have filed two separate cases into the raising of anti-national flags, and a scuffle between stranded Kashmiri passengers and students of Science College Jammu.